Lobo | Oh No! Not Another NYC Food Blog! Tex Mex in Cobble Hill boasting the best Tex Mex & margaritas in NYC. 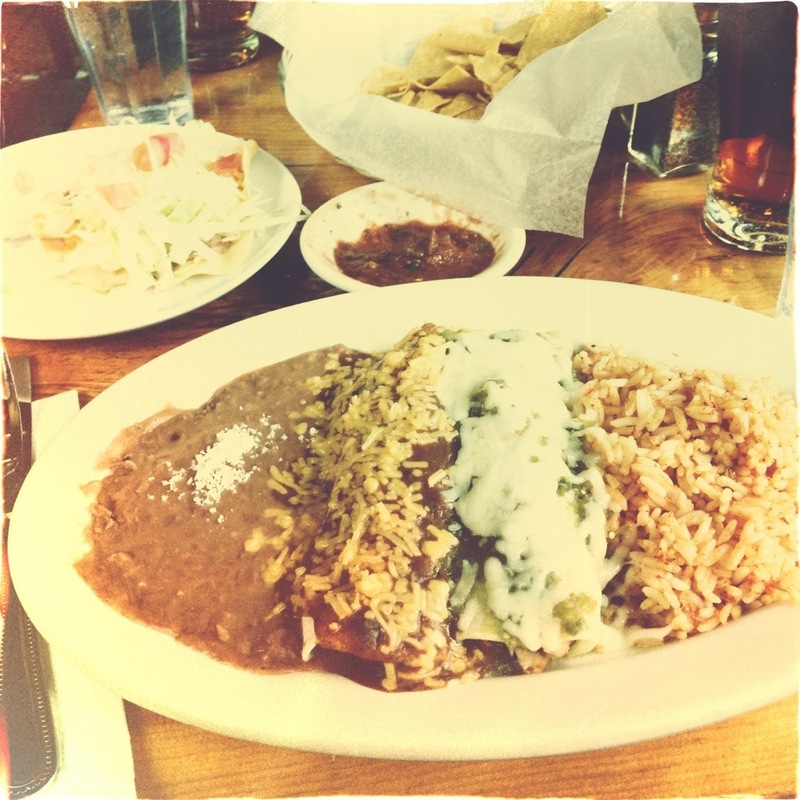 I had The Alamo – a chicken enchilada and a beef enchilada topped with tex-mex con carne & a bean & cheese chalupa — not bad. Decent beans & rice, well-seasoned chicken and beef. Cheesy but not overly so. Wanted more chili, but the amount was actually perfect for the dish, I just had a craving. 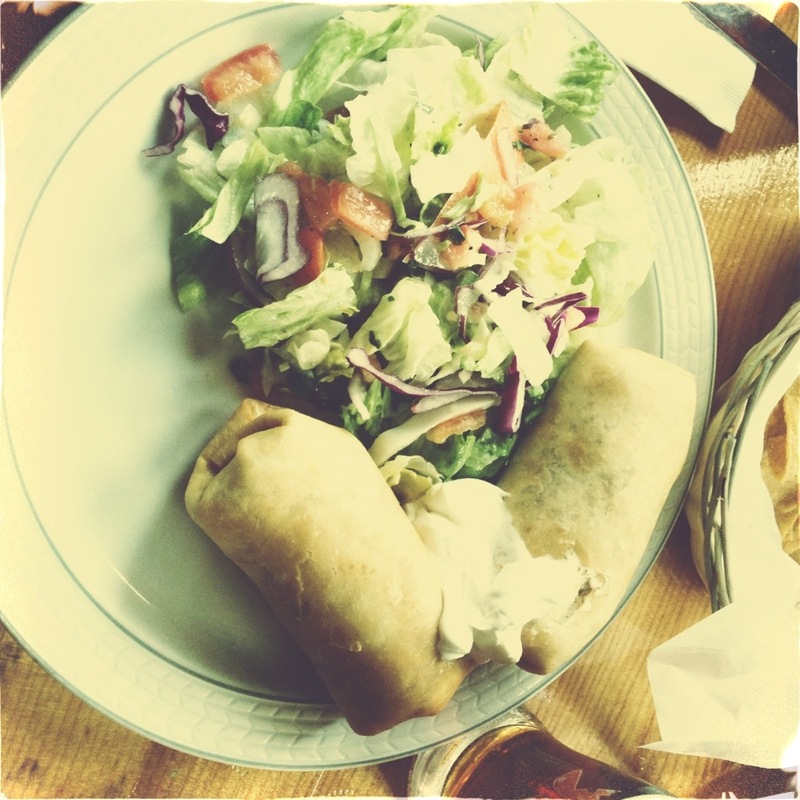 My DH had Chimichangas – beef in flour tortilla, deep fried and topped with sour cream — nicely seasoned and not too greasy. We also had stellar table chips and salsa. Great ‘oldies’ 70s/80s rock over the sound system. 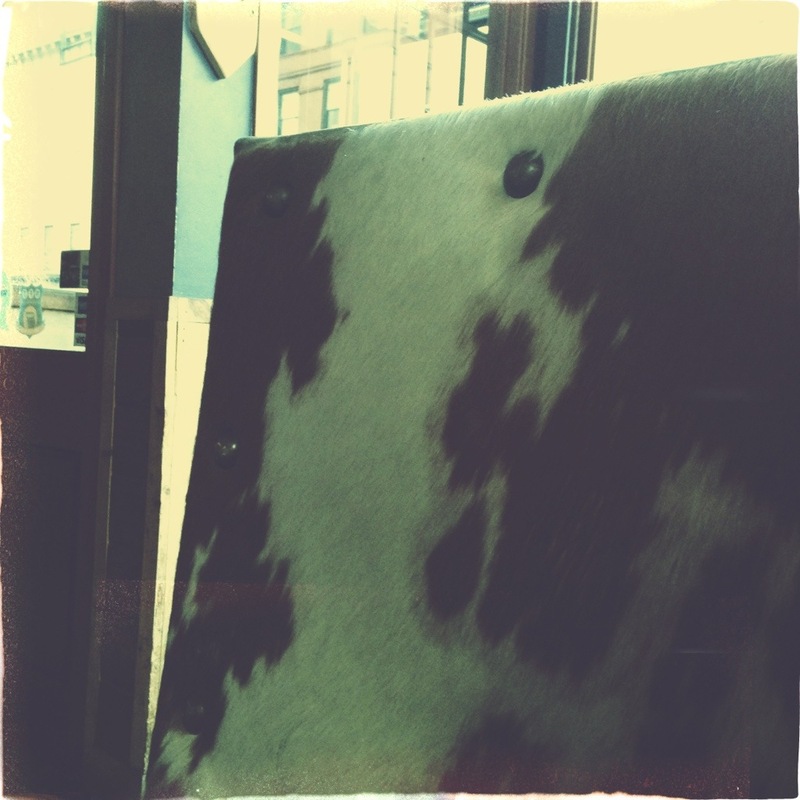 Lots of cow hide, weathered wood and deep blues. Updated cowboy decor. Not a bad little place. I’m not sure about ‘best in NYC’, but it was decent and hit the spot. 3.75 out of 5 for pretty great food – no real complaints.